October Afternoon's brand-new Snap Caps (TM) provide a whole collection of quick captions for everyday life. 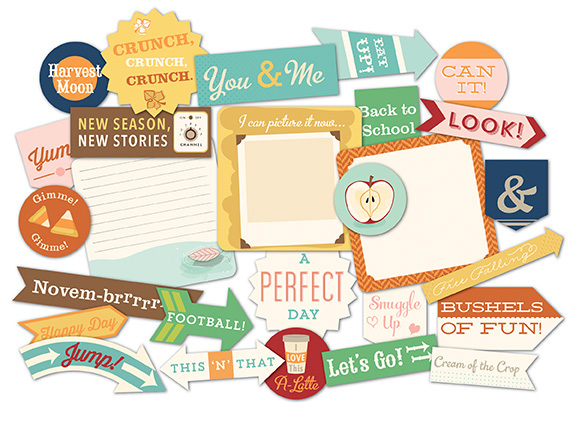 Part of October Afternoon's complete modular-scrapbooking system -- Daily Flash (TM). Caps come 27 per package. Packaged in a poly hang-bag. Product images shown on back of packaging. Printed double-side on 80 lb cover-weight cardstock. Precision die-cut. Acid and Lignin Free.